​ HOUSTON – Mud and silt that washed into the Houston Ship Channel during Hurricane Harvey did not make the waterway significantly shallower. The ship channel can accommodate vessels with 42 ft. of draft right now, down three ft. from normal depths. Jim Kruse, director of the Center for Ports and Waterways at the Texas A&M Transportation Institute, said three feet of draft means that ships can carry several thousand tons less. 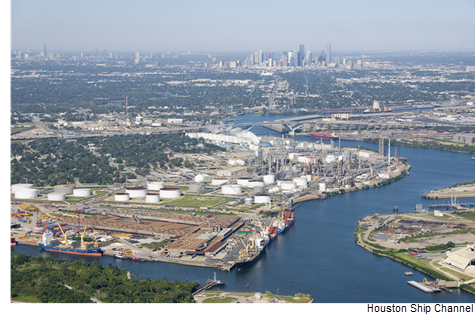 Overall, he said, shallowing of the Houston Ship Channel wasn't as bad as expected. Galveston and Texas City don't have draft restrictions, and dredging is occurring to restore other sections of the ship channel to typical operating depth.